﻿Angela Ford originates from Nova Scotia…Canada’s Ocean Playground! Her love of the ocean and sunsets are always in her heart and give her inspiration. Her love for words keeps her turning the page. She is never without a book, whether she’s reading or writing. Her dedication to volunteer and involvement with cyber safety seminars gave her an Award of Distinction and sparked the idea for her first book Closure – suspense with a dash of romance that hit the best- selling Action/Adventure and Women’s Fiction. Angela continued this FBI suspense with Forbidden and will deliver the final of the series in 2015. She also writes contemporary romance, sometimes sweet…sometimes spicy and sometimes with a dash of suspense. Every possible quiet moment she finds, she treasures and just writes about the moments to come. 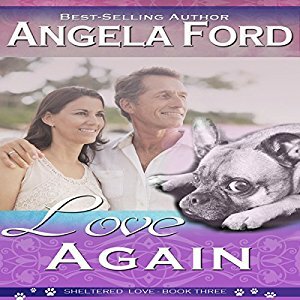 You can follow her at BTGN www.bookstogonow.com or visit her website/blog Romantic Escapes at http://www.angelafordauthor.com to connect with her on her social network sites. She loves to hear from her readers – they keep her smiling! Join my Street Team on Facebook! Books to Go Now (BTGN) is proud to be a Traditional Publisher who works with their authors each step of the publication process. We have helped numerous authors become best-sellers with our dedication to creating only the best. Voice Sensation - Don Colasurd Jr.